Jennifer Rubin — She declared of the Best Picture nominees, “They reminded us that we can overcome any obstacle if we dig deep enough and fight hard enough and find the courage within ourselves.” Alas, none of the films nor her aides reminded her to mention the military, not those personnel behind her nor those serving overseas, an odd omission for the White House that nevertheless was pleased to have them arrayed behind her like, well, set decoration. This obsession with the Right when it comes to wearing flag pins and congratulating the troops is way past it’s prime. We know. We get it. Conservatives love the troops. They love them so much they send them to unnecessary wars. So I’m just going to say it — There is no specific need to thank United States military personnel at every high-profile event, particularly if that event has little to do with the troops. It’s a fine gesture if it’s done, but no, it’s not a requirement, even for the First Lady. There was a time when we didn’t automatically connect the role of First Lady to the policy and military role of Commander-in-Chief. There was a time when the First Lady could champion her own causes and not be caught up in the politics of the moment. And I think with Michelle Obama’s support of military families, she deserves some credit instead of criticism. But no, that’s too cordial for the right-wing. 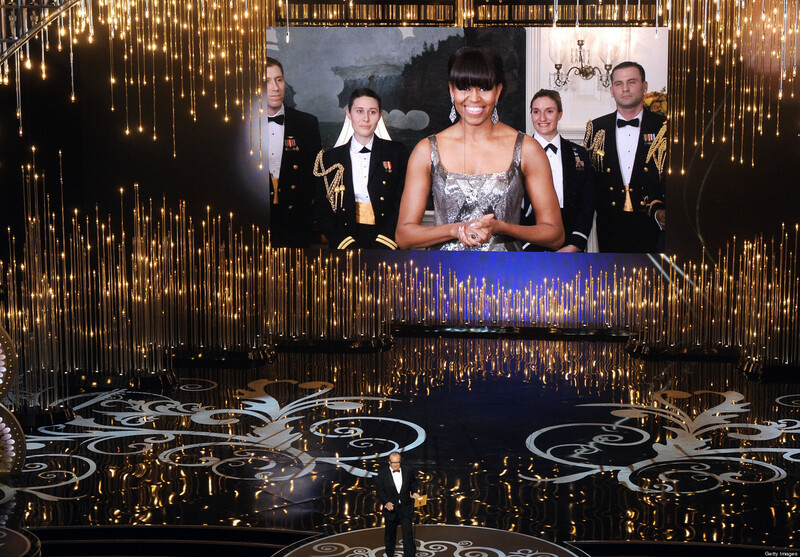 Conservative reaction to Michelle Obama’s Oscars appearance is petty. Not everything has to be partisan. Grow a little as a human being.